I’ve relaxed (what I think is) a lot about traditions, but Gretchen Rubin would classify me as an Upholder. I’m a person who thrives on habits and routine. (You can find out your type here–then tell me what it is!!!). I’m also an introvert, so I get my energy from having some alone time. My morning routine has varied a LOT over the years, but one thing has stayed the same: I like to get up before everyone else. Having a bit of time to myself before everyone needs me and I need to be “on” for the day is one of the best things I do for myself. Sometimes, that’s meant dragging my bleary-eyed self out of bed 5 minutes before I think the baby will get up, just so I’m not awakened by crying. Other times, it’s meant going for a walk/run or doing an exercise video on mute in the living room while I try not to wake up my still-allergic-to-sleep children. In the last 2 years, I’ve gotten into a new phase. My kids still wake up REALLY early no matter when they go to bed. (5-5:30am is still the norm for Milo, for instance.) But everyone is old enough that I don’t have to spend all that time shoo-ing them back to their rooms, calming a crying baby, or trying to coax someone back to sleep. I love reading self-improvement books, and a friend recommended The Miracle Morning to me a little over 2 years ago. The title sounded a little hokey, but just a few pages in, I LOVED the book. In it, author Hal Elrod describes how he developed his morning routine to help him recover after a tragic accident. His routine helped bring back the joy and spark to his life and “claim the day” by starting each morning with gratitude, optimism, and a sense of purpose. In the many years since his book became a phenomenon, he’s developed versions for all sorts of different lines of business (writers, real estate agents, salespeople, networkers, etc. ), as well as families and couples. The whole routine doesn’t have to be done in order (you can mix and match however you like). It also doesn’t have to take long (He even outlines a 6 minute version!). Whether I have 6 minutes or 60 minutes, I’ve found it’s a great way for me to start the day on a positive, uplifting note. I LOVE it. Here’s my SAVERS order and timing for my morning routine. For the specifics on how I do each part, go to the next section, where I outline each in more detail. SILENCE (5-15 min.) – I start my morning with prayer and meditation, which takes 5-15 minutes, depending on what meditation I’m doing that day. SCRIBING/WRITING (5-10 min) I write down gratitude, intentions for the day, and I hand-write my affirmations most mornings if I have time. If I’m short on time, I write down 3 things I’m grateful for and call it good. AFFIRMATIONS & VISUALIZATION (5-10 min) I mentally or verbally recite my affirmations & take some time to visualize each one in as much specific detail as possible as though it’s already part of my life. READING (10-30 min). If I’m reading a hard copy of a book, I allot myself about 10 minutes to read before moving on to exercise. If I’m doing audiobooks, I typically do most of my reading time while I’m exercising. Lately, I’ve been reading 10 min of a hard copy book (usually business or self-improvement), then listening to an audiobook (something fun) while I exercise. EXERCISE (20-30 min). I do some form of exercise at home or in my neighborhood (yoga, walking/jogging, HIIT workouts or strength training). If I can, I love listening to audiobooks while I do this because it’s more enjoyable for me. If I’m doing a yoga practice, I typically just follow the practice/focus on breathing. TOTAL TIME: Usually around 45-50 min. If my kids wake up early, I send them back in their rooms until our agreed upon time, or give them the choice to sit and read quietly or get ready for the day. I’ve been meditating for about 4 years now, and it’s a regular part of the day, even if it’s just some mindful breathing for a few minutes. The Headspace and Calm apps are two of my favorites. Each has a free and paid version, but both are great places to start. 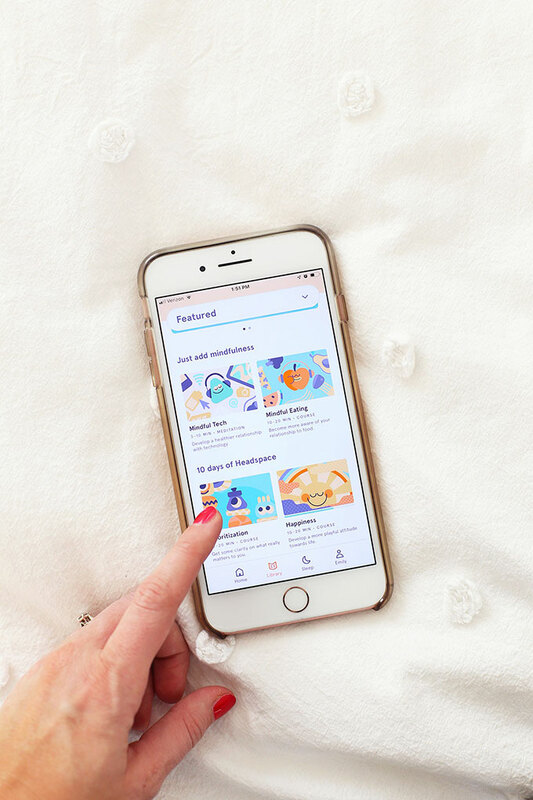 Headspace – Overall, I’d say Headspace is the winner in my book for meditation (they’ll literally teach you how to do it + have LOTS of different sequences you can do to focus on specific areas of your life. They even have mediation options for kids! I’ve had a paid membership for the last 3 years and really like it. 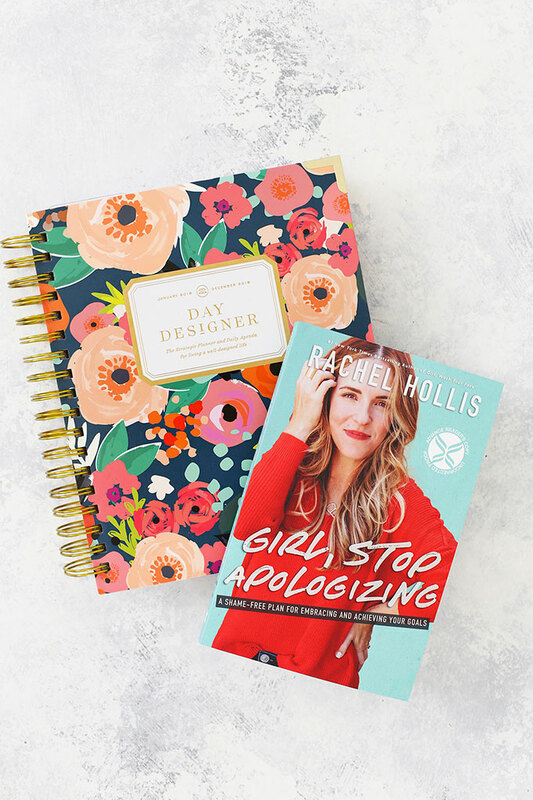 I love a good old-fashioned blank notebook, my Day Designer planner, or a cute, inexpensive gratitude journal as a starting point for writing down gratitude or affirmations. If you prefer an app, the 5-Minute Journal app is a great one. It’s about $5 and provides inspirational quotes, daily prompts to write down things you’re grateful for, and ways you’ll make the day great. It’s easy to use and even has a place where you can insert a picture for each day. 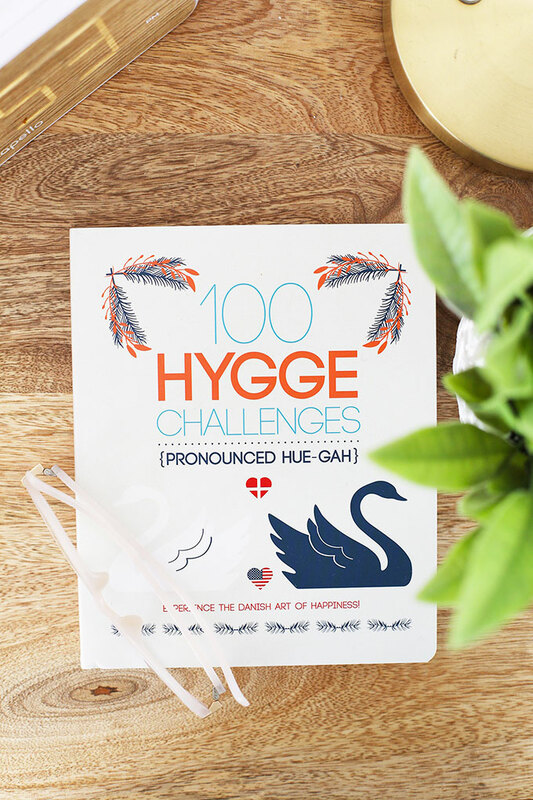 This can sound a bit woo-woo if you’re new to it, but I think it’s a powerful practice. It helps me cultivate positivity and to be intentional about the way I live my life. 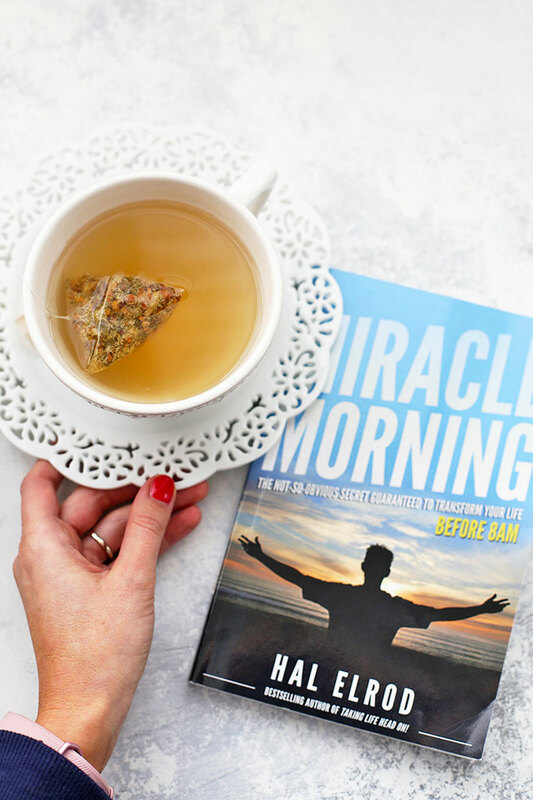 If you’re new to affirmations and visualization, the Miracle Morning book gives a great primer and lots of examples to get you started. I use the free Notes app on my phone or a blank notebook to write down (in as much detail as possible) the affirmations, goals, and dreams I have for my life. I also have secret boards on Pinterest I use for visualization if I’m feeling distracted. Basically, you want to visualize the things you want to feel, do and be (intentions, affirmations, goals, dreams, etc.) in as much detail as possible. You visualize them positively in present tense (rather than some point in the future), as if they’re already or actively part of your life. So, instead of something like, “I will save $1000 for an emergency fund” or “I will lose 10 pounds” or “I will train for a marathon” you would treat it as though it was actively, presently part of your life (the affirmation might be “I am easily saving $1000 for an emergency fund.”) and you’d visualize what that would feel like (the happy feeling you have knowing it’s all saved, the sacrifice being worth it, the comfort you feel that it’s done, etc.). If you’ve been here a minute, you know I’m a MAJOR book lover. I read almost 60 books last year, and this morning routine is partly how I make time to do that. Sometimes, I work through hard copies of books so I can highlight and write notes (I’m looking at you, Rachel Hollis!). But, most of the time, I also (or only) use audiobooks to help me get through more books. I almost exclusively use the Libby app, which is free through my public library system. Or, you can also go through Audible, which Michael LOVES, and we share. You can get up to 5 free books and a free 30-day trial here. PS – If you like tracking what you read, you can use the Goodreads site or app (free), which will let you set a reading goal, track books you’ve read, and read or write reviews, etc. Probably one of the most important parts of my morning routine for getting energy. As paradoxical as it sounds, spending energy can often help you get more energy! (Even if it’s just a walk!) That boost of endorphins and the awake feeling I get are worth the effort for my mental and physical health. I cycle through different kinds of exercise (usually walking/jogging, yoga, or HIIT workouts). I’m a huge fan of walking. I shoot for 10,000-12,000 steps or so a day, and love listening to audiobooks or podcasts along the way. I use the free Podcast app on my iPhone or the Libby app to borrow audiobooks from my public library. So there it is! My morning routine. How about YOU? How do you start the day? Any apps or books you’d recommend adding to my list? Shout them out below! Hi Emily, I love this. I also recharge by having “me” time. Do you have any advice or ideas for fitting these strategies in when life (at least right now) feels difficult? I have a long commute and a toddler son, and we both have to get up early to get ready and out the door for work and daycare. But, I would love to incorporate some of these ideas. Allison – Oh, I know what you mean! That can be such a tough stage. I have no doubt you’re doing what you can to carve out that time for yourself! Sophie and Milo are only 20 months apart, and the first 2-3 years kind of felt like one eternal blur of sleep deprivation and the chaos that those ages bring to the mix. When I had babies and toddlers, there weren’t many long hours or big stretches of time for a lot of the things I picture when I think of “me” time (a long bubble bath, meditation, yoga class, etc.). When my kids were that small, I went to bed early and tried to get up even just 5 minutes before them when I could so that I could have a quick minute to myself. (Getting as much sleep as possible really helped everything feel easier to face.) Then, I tended to fit those self-care-type things in in small increments throughout the day, rather than in a big 45 minute sequence in the morning, since I was often solo parenting the morning hours. So, I’d wake up and do a 10 minute meditation or some deep breaths and prayer. Then, I might listen to something I enjoy on my commute or while doing chores, etc. later in the day. And I’d try to fit in at least a few minutes of exercise when I could, even if it’s just 10 minutes of brisk walking at a time a few times throughout the day. I also tried to focus on good moments, rather than good days, since we always had tantrums and spills and diaper blow-outs and short naps going on. Focusing on the good moments and really letting them count, whether that was lighting a candle I like while I did dishes, or turning on some music while we tidied up at the end of the day, or a good square of dark chocolate eaten all alone after tucking them into bed really made a difference for me. I am cheering for you! Those can really be some long days (and nights and in-betweens). I hope you’re able to find some ideas that work for you! If you have a chance, I highly recommend reading the book. He does such a good job outlining ways you can make these ideas work even if you’re really tight on time. Thank you SO much! I love your suggestion of breaking it down into smaller increments throughout the day and focusing on the good moments (often the little things, like lighting a candle or dark chocolate. 🙂 I try to remember that everything is a stage and a moment in time (i.e., it won’t always be like this) and how can I make the best of what is right now. I started a “one line a day” journal at the start of the new year and that helps, also! Thank you again. I appreciate the inspiration and encouragement you always bring. Thanks for sharing this. Your posts are generally helpful, but here you’ve included especially great tips. I have been thinking about incorporating these actions into my a.m. routine, but struggle with just doing it. *I can and will. 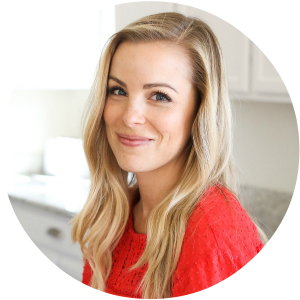 * I enjoyed how you broke it down and made a satisfying morning routine doable for moms and busy women everywhere. I find I relate to sometimes. 🙂 I love your sweater! Thank you so much Hannah! I love the sweater, too! I scored it on major sale a few weeks ago! I can feel this morning routine through your posts. It doesn’t surprise me at all to learn that you practice all of these habits each day. You shine as a happy, grounded, and focused go-getter and I’m sure your routines are why. I am also a Gretchen Rubin fan and as an Obliger I have to be creative in how I can get myself to do things like this!! Amy – What a kind, thoughtful comment! Thank you so much for making my day!!! So I read this post and you inspired me. I was disappointed when I saw how expensive the Day Designer Planner was because I thought it looked awesome. Well, I was in Target yesterday and they sell what I am guessing is a dummed down version for $15! I am so excited. Thanks for sharing your routine. This is something I really struggle with so it’s been super helpful! YAY! I meant to mention that version from Target! They’re always so pretty (I spotted some last Friday when I was shopping!). Hi! 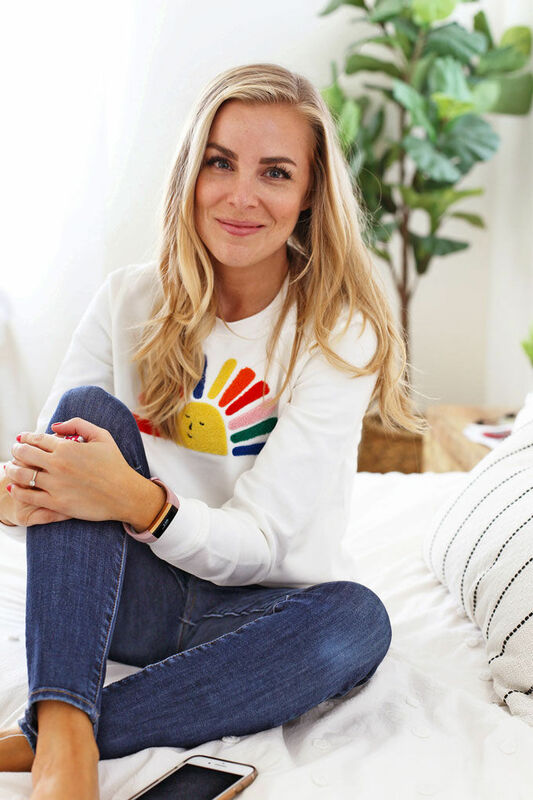 I just discovered your blog/website/lifestyle loveliness through Day Designer’s Instagram and may I just say I am already in love! The way you plan everything out amazes me, and people say I plan out my life too much :)!! Just, everything seems so so calm and lovely! <3 But, I do have a few questions! Number one is, I'm in high school, and I have to wake up at six o'clock every morning for school. I also can't get to bed super early because I do 13 hours of ballet a week, and I have lots of homework on top of that. How would you recommend shortening your morning routine into, say, 10 minutes, for that's really all the time I can spare in the morning. 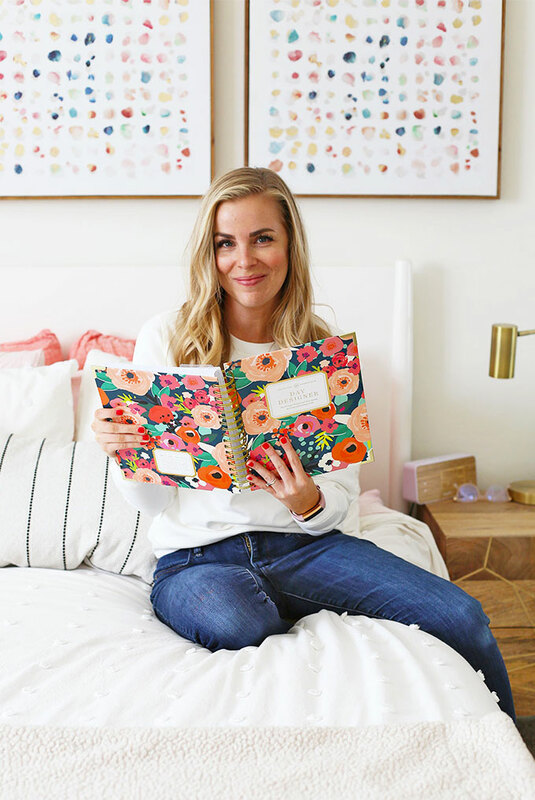 I meditate usually at night (or sometimes in the afternoon or in the morning before school if I have extra time), and I usually update my planner (I also have a Day Designer and I love it so so much, it has completely changed my life!) when I get home from school before I do my homework. I have secret Affirmations and Visualisations, but they mostly just happen in the moment, meaning I never plan for them, and when I need them, I have my most special and favorites all planned out <3. I also nearly never have time to read! This is something that I used to be so so good at when I was little, but the time is slowly slipping away as I get older and busier. I think I just need to find a very good series to read and then I’ll find the time somehow. 🙂 I also get plenty of exercice, seeing I do so much ballet, and I sometimes walk home from school. But I would like to incorporate it into my morning more as well, but I feel I can’t because, for the first 30 minutes I’m awake, I can’t even touch my chin to my chest because everything hurts so so badly! I don’t know if this is normal, but I am usually very flexible, with ballet and all :). And second, what is the six minute version of the SAVERS, or is it that you have to buy the book to experience it? I might try the full version on the weekends, or on mornings where I don’t have to wake up at any specific time! Thank you so much for sharing this beautiful wisdom. Annalise – Thanks so much for writing and thanks for your patience in waiting for a response. I’m just getting caught up on comments! First, off, it sounds like you are VERY organized and have a routine that’s working really well for you in a lot of ways. Bravo!!! Second, usually when time is short, I divide the SAVERS routine up more throughout the day, rather than in one single bout of time, which makes it easier to fit in. What’s made a difference for me most of all–more than the actual specifics of when or what order I do things–is starting the day intentionally on my terms, rather than letting it happen to me or waking up feeling like I’m running behind or in reaction mode. Minute 2 (AFFIRMATIONS) – Pull up your affirmations and read them out loud or in your head focusing on what’s most important to you. Minute 3 (VIZUALIZATION) – Close your eyes, or look at a vision board or Pinterest vision board that helps your visualize what it will look and feel like when you reach your goals. Visualize your day going smoothly, or how things will feel when they go well. Minute 4 (SCRIBING/WRITING) – Write down a gratitude list, or the results you’re committed to that day. Minute 5 (READING) – Grab a book and literally just read 1-2 pages, or pick a poem, mantra, or inspirational quote and practice memorizing it or reciting it. Minute 6 (EXERCISE) – Stand up and stretch. Or, do 1 minute of calisthenics to loosen up. When my kids were really little and none of us was getting much sleep, I did these things, but not necessarily all at once or all in the morning. Instead, I’d try to wake up a few minutes before them and do a quick 5-minute meditation or deep breathing + prayer. Then I’d keep visualizations and affirmations where I’d see them often–on my bathroom mirror, as my phone lock screen or phone wallpaper, etc. and do them when I see them throughout the day, rather than specifically as part of my morning routine. 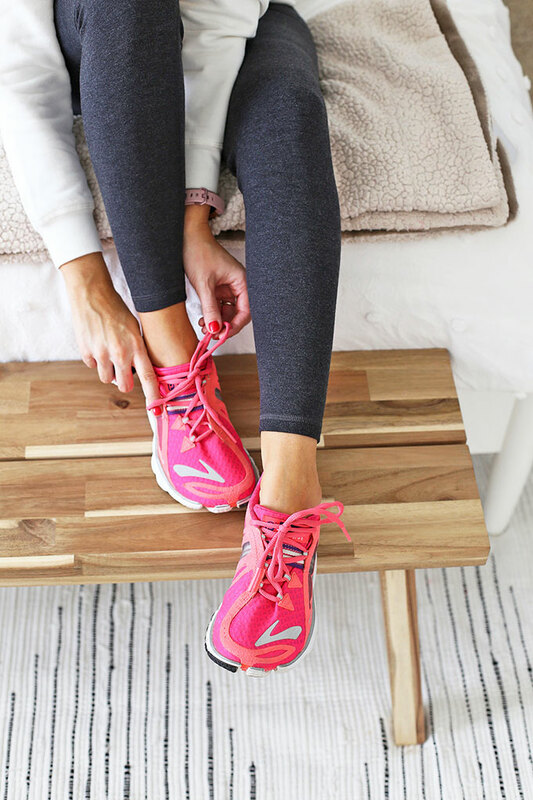 For exercise, if I was doing something later (like going on a walk with my kids in the stroller), I’d probably skip that part in the morning other than some stretches to loosen things up. Then, for reading, I might listen to an audiobook while driving to run errands, or even just read for 10 minutes before bed to help me unwind (instead of checking my phone). Also, in my experience, everything comes and goes in seasons. In high school and college, I rarely had time for enjoyment reading because I had a pretty rigorous academic schedule and was involved in a lot of extracurriculars (and audiobooks weren’t as readily available, so I couldn’t multi-task). As much as I LOVE reading, it was okay for me to have a season where most of my reading was studying or academic. At times, I’d find time to work in a book just for fun, but during that extra busy season, I didn’t stress about not being able to fit it in. If it’s important to you or feels like a missing piece, maybe you could try audiobooks? You can listen in the shower or while you’re getting ready in the morning, or getting ready for bed. I rarely have a lot of time to just curl up with a hard copy book, but audiobooks have really helped me fit in a lot more reading! Okay, that feels like a million random thoughts all strewn together, but I hope that something there is helpful!!! I’m cheering for you! No, this is wonderful! Thank you so so much! it means so much to me! Great post! You have such a great routine!